Certainly one of the new features on the EOS 5D Mark IV which is bound to generate some interest — and questions — is the availability of Dual Pixel RAW images. What is this feature? What does it do? What are the possibilities? We’ll introduce it in this article, and give some ideas of how you might use it in certain situations. Conventional RAW image files are generated in the same manner as any recent Canon EOS mid-range or high-end model. Full-resolution (30.1 million actual pixels) RAW files can be taken, as well as reduced-resolution M-RAW (approx. 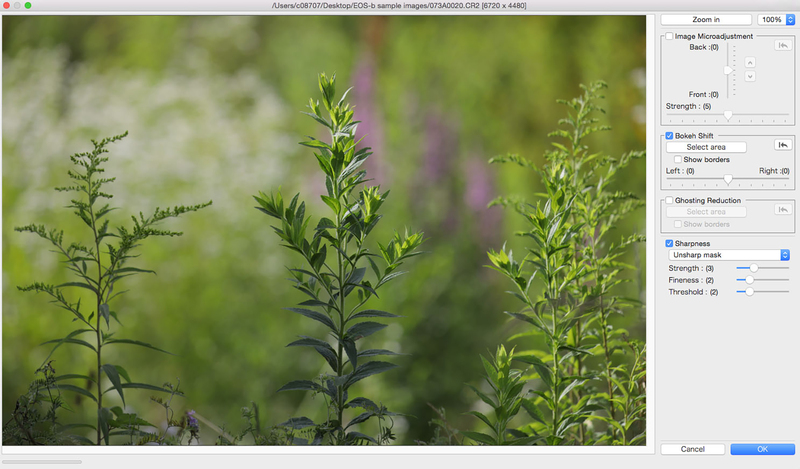 16.9 MP) and S-RAW (approx. 7.5 MP) images. All you have to do is set your choice in the camera’s Image Quality menu. I’m not a big fan of shooting front-lit subjects, with the sun behind me. In most stadiums, the light will hit the bleachers on the other side of the field and tends to glow very bright. This can be super distracting. I usually try to shoot into the sun for backlight, which puts the stands in the shadows and gives you a very dramatic rim light and separation between subject and background. It can sometimes be difficult to shoot into the sun, but the reward is worth it. Finally, when this is set on-camera, you’ll see a small DPR icon on the top LCD panel on the camera, reminding users that Dual Pixel RAW is enabled. This will continue to appear even if you switch from shooting RAW files to in-camera JPEG images. What are Dual Pixel RAW image files? The phrase Dual Pixel is no accident. Leveraging the sensor technology that gives us Dual Pixel CMOS AF for video and Live View shooting, Canon engineers have used this additional information to create a new option for RAW image shooting. It’s helpful to have an understanding of Dual Pixel CMOS architecture, to get a sense of how this new feature is implemented in the EOS 5D Mark IV. With this and previous Canon EOS models having Dual Pixel CMOS AF technology, each pixel on the imaging sensor actually is split into two separate and independent light-sensitive sections — for our purposes, we can think of the split left and right areas as A and B areas of a single pixel. 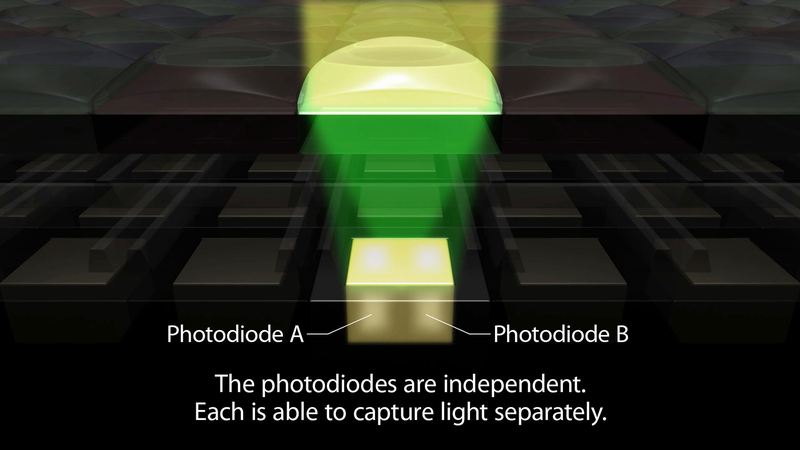 In most current digital SLRs, each pixel is covered by a red, green, or blue filter — but the actual light-gathering photo diode lies underneath. 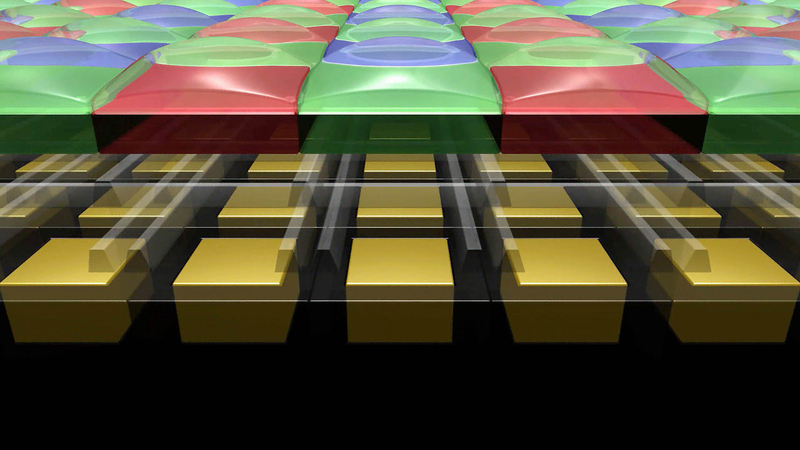 Here, in this conceptual illustration, you see the light-sensitive area for each pixel as the yellow surface. 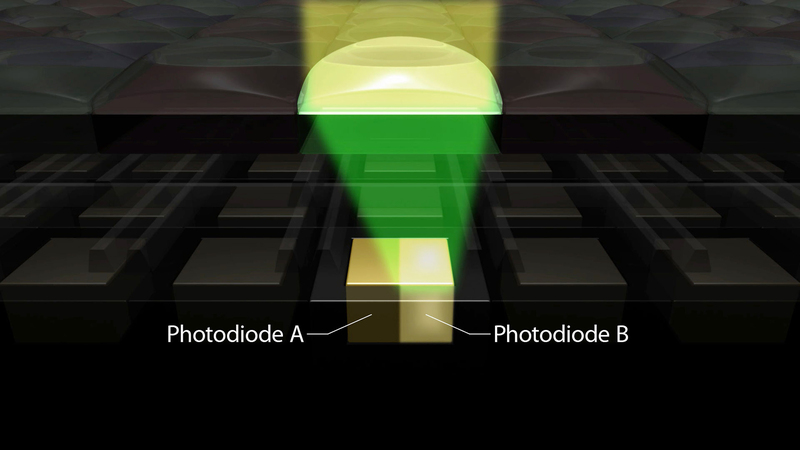 Simplified to show one pixel, we see its colored filter, and its light-sensitive photo diode area below. Here’s what makes Canon’s Dual Pixel CMOS technology different. Instead of one single light-sensitive area for each pixel, Dual Pixel design splits each pixel into two separate light-gathering areas. They’re shown here (again, a conceptual illustration) as blue and red areas. The red and blue colors here are completely conceptual, and have nothing to do with whether a given pixel’s actual color filter at the top of the pixel is red, green or blue. Before a picture is taken, for focus purposes, light is gathered from the A and B pixel areas separately, and read as two independent signals. These are then compared and used for phase-detection focus calculations. This happens during focus operations with Live View or Video on Dual Pixel CMOS AF cameras, before exposure. 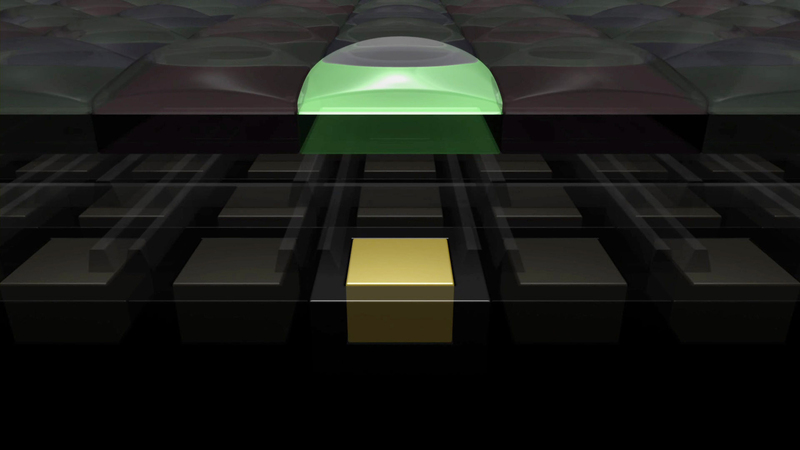 Each light-sensitive side of a pixel can be independently controlled. 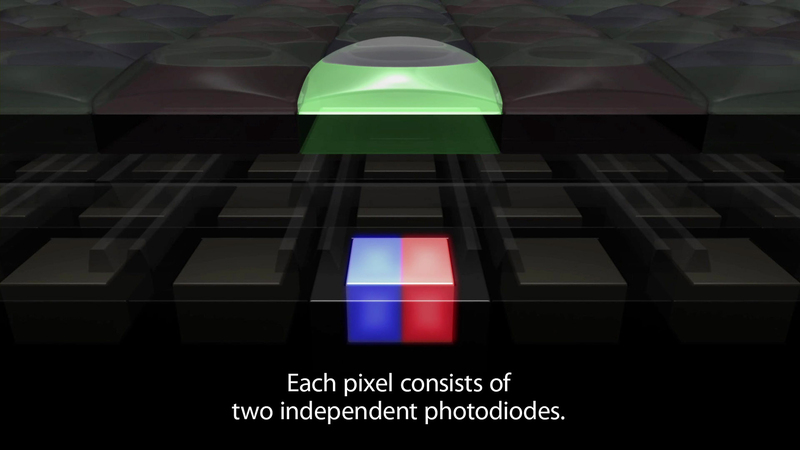 For focusing, Dual Pixel CMOS AF technology separately reads light values from the A and the B side of each pixel, then compares the differences to acquire focus data and perform AF calculations. In other words, before a shot is taken, each pixel is producing two pieces of information. But when an actual still image (or video frame) is recorded an instant later, the two separate signals from the A and B sides of each pixel are combined, to generate one single brightness signal from each pixel. Thus, each pixel gets essentially the same full photo diode area that a convention sensor (without Dual Pixel CMOS AF technology) would have. A moment later, for actual image recording, the A and B sides of each pixel are now combined into one single brightness value. So they produce separate and independent signals before a shot is taken, for AF purposes, and then they’re electronically changed to a single value for each exposure. What Canon engineers have done with the EOS 5D Mark IV is to use this information in an additional way, above and beyond calculating AF for Live View and video recording. In effect, Dual Pixel RAW images have a full “layer” — figuratively speaking — of digital information from each pixel, using the conventional combined A and B output from all the pixels on the imaging sensor. But in addition, they add what we can think of as parallax information from just the A-side of each pixel. So we can think of the Dual Pixel RAW files as having a second “layer” (again, we’re not speaking literally!) of this secondary information, slightly offset from the basic RAW image data. It’s all housed within a single .CR2 Dual Pixel RAW file; there is no second or additional file data that users have to hunt for on their memory cards. What can you do with Dual Pixel RAW images? Ghost Reduction Select an area of the frame having flare or ghost images from light sources which are just ouside the visible frame, and DPP can process the image to reduce these aberrations in some cases. You select the area by drawing a box around it, on-screen, in DPP’s preview window. For technical reasons, only one of these adjustments can be performed to a Dual Pixel RAW file per processing session. In other words, you can’t perform an Image Microadjustment, and then apply a Bokeh Shift to the same image. There are no work-arounds (at least, that we’re aware of at the time of this writing) to get around this. Dual Pixel CMOS RAW files are processed in Canon’s DPP software. You’ll need versions of DPP that are compatible with files from the EOS 5D Mark IV camera…initially, that’ll mean version 4.5; presumably, with the passage of time, future and higher-numbered versions will also be compatible and able to process these RAW images from 5D Mark IV cameras. Process an image using Dual Pixel RAW capabilities within Canon’s DPP software. We’ll outline this shortly. You can separately apply any combination of the standard RAW process adjustments to Dual Pixel RAW images, before or after you perform one of the specialized Dual Pixel RAW adjustments within DPP. In answer to the inevitable question about using third-party RAW processing software from other companies, Canon has no idea whether any of these software programs will have the ability to leverage the Dual Pixel RAW technology and add processing options beyond ordinary RAW image adjustments. It’s up to each independent company making their own RAW process software to take RAW files from Canon cameras, reverse-engineer what’s needed to process them into finished images, and incorporate this into updated versions of software that are compatible with RAW files from the latest cameras. At least initially, even if you’re a regular user of a third-party software program for your RAW workflow, if you want to take advantage of the EOS 5D Mark IV’s Dual Pixel RAW capabilities, you should expect to use Canon’s DPP software, again Version 4.5 or higher. When veteran DPP users open a folder of RAW image files which contain Dual Pixel RAW images from the EOS 5D Mark IV, they may be in for an initial surprise. Nothing appears different on the DPP screen, and there’s no reference at all to any specialized features from the Dual Pixel RAW images. Even if an image is selected and active, only conventional RAW processing tools we’ve had previously seem to appear. To perform any of the three Dual Pixel RAW operations, you have to open the separate Dual Pixel RAW Optimizer window, shown here. The active image is re-drawn on this window, and the three possible operations are visible on the palette on the right side. This window can appear either via the pull-down command in the Tools menu, or alternatively via a keyboard shortcut (Option + D on Mac, Alt + D on Windows versions of Canon’s DPP software). Here’s a detailed look at the palette where DPP’s Dual Pixel RAW settings exist. The following text goes through some of the basic operations and possibilities with EOS 5D Mark IV RAW images, shot with Dual Pixel RAW enabled. Magnify the on-screen view of your image, from 100% thru 400%, for a detailed look at operations you perform. Especially for Image Microadjustment, this can be helpful. By default, the window shows the entire image on-screen, at less than 100% magnification. Check the box next to the name, and this section becomes active. The primary control is the vertical slider, which allows you to shift (in tiny increments) your area of greatest detail and sharpness, either forward (toward the camera), or backward. You can try an amount, and re-adjust it afterward, or click the RETURN button to clear any adjustments here. Applying Image Microadjustment can increase the level of visible noise in an image…if you find noise to be objectionable, moving the Strength slider to a lower value can help control that. Likewise, if you move the Microadjust slider toward the front or back, and want to see even more enhanced change in the detail of your image, you can move the Strength slider to a higher value. This gives you the option to move out-of-focus foreground and background areas laterally (horizontally, in a horizontal photo). Moving the slider to the Left or Right of its scale causes DPP to re-draw your on-screen image, and you’ll see slight shifts. Again, there’s a RETURN button to clear anything you’ve dialed-in, and re-set it to zero. An added feature here is the ability to draw a selection box (free aspect ratio) over part of the background or foreground, and have only that area shift, relative to the actual in-focus subject. A separate check-box lets you either show or hide the borders of your selection area. You can then choose a Left/Right value, let DPP perform the operation, and see if it’s what you want… you’re free to re-apply the Left/Right value if you want or need a different effect. Keep in mind that because of the nature of Dual Pixel CMOS structure on the pixels of the image sensor, it’s not possible to have vertical images (taken in portrait orientation) shift left or right — for vertical images, you’ll find the shift direction now becomes up and down. Check the box next to the name, and DPP will now allow you to click the “Select Area” button, and then draw a free rectangle around an area having visible flare or ghosting in your frame. An important note, before going further: Ghost Reduction for Dual Pixel RAW images is subtle, and only impacts certain types of lens flare, primarily that which is generated by light sources outside of the visible picture area, at strong angles to the lens and camera. In other words, do not expect this feature to work on the types of flare and ghost images that occur, for instance, when a wide-angle landscape image has the sun in the frame. Another note is that the calculation of Ghosting Reduction and any change is performed as soon as you draw the selection box on-screen…there’s no separate “start” button. In fact, as soon as you draw the selection box on-screen and release your hand from the mouse or computer control pad, you’ll see the progress bar on the bottom-left show DPP re-drawing the image, executing what reduction it’s able to perform. Especially since Dual Pixel RAW operations can increase visible noise slightly, there are separate adjustments for any of the three possible operations, to re-set the amount of sharpening performed during RAW processing. Since you can see them in the Dual Pixel RAW Optimizer window, especially at magnified view, refining these can sometimes be very useful before actually applying your chosen adjustment. Any sharpening changes here are directly applied to DPP’s other visible sharpening palettes, within the standard RAW process areas. Any of these operations can be performed either prior to, or after, conventional RAW image adjustments are performed elsewhere on the DPP screen (changes to WB, color saturation, curves control, gamma adjustments, lens corrections, and so on). And, any adjustment performed in the DP RAW Optimizer window is “remembered” within DPP, so if you close an image, and subsequently come back to it, any previously-performed Dual Pixel RAW adjustment remains in effect. You can UNDO any previous adjustment, which clears it completely and refreshes the image to its pre-adjustment state, and then check another box and perform a different Dual Pixel RAW adjustment if you like. But remember: you cannot perform more than one of the three primary DP RAW adjustments to any one image, even if you do them at separate times. Two primary things to emphasize, in terms of real-life application of this feature: first, it increases the file size of each RAW file you shoot (approximate size of each .CR2 RAW file on the memory card increases from about 35~37MB to roughly 65MB). With this comes a decrease in the EOS 5D Mark IV’s shooting speed, and especially its burst rate (the number of continuous shots you can take drops from about 21 RAW images to about 7, with the Dual Pixel RAW option enabled in the shooting menu). And, the visual changes are indeed subtle. Don’t expect major Photoshop® type changes to images from Dual Pixel RAW adjustments. Based on early experience with pre-production cameras, you may also find that the visual changes are more acute and visible in some circumstances than in others, even with similar lenses, camera settings, and subject distances. Here’s a cropped section of a full RAW image, showing the effect of Bokeh Shift to the out-of-focus background. 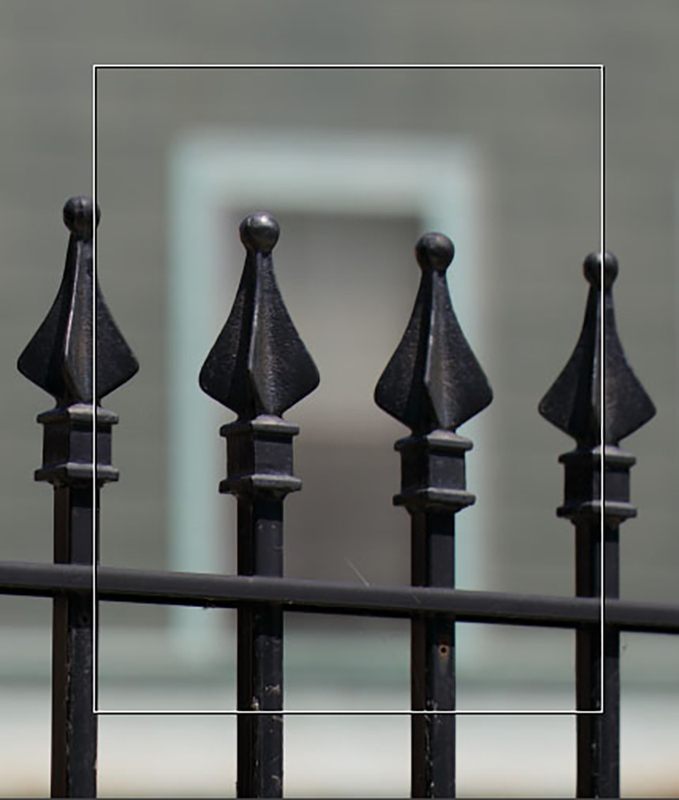 In shot #2, you can see the window frame in the background has shifted slightly, relative to the in-focus fence detail in the foreground — and because a selection box was drawn in DPP, the shifting only occurred in that area of the frame. The additional parallax information captured by having Dual Pixel RAW enabled made this software adjustment possible. That said, there definitely can be potential benefits to critical users. Portrait and people photography is one obvious example, with the Image Microadjustment feature. You certainly won’t be able to make major shifts in the plane of sharpest focus — such as from a subject’s ears to his/her eyes in a typical head shot — but in situations where the sharpest eye is just a tad “off,” Image Microadjustment may provide just that little nudge forward or backward that you’re looking for. Similarly, the Bokeh Shift may be useful for making slight changes in what appears immediately in front of or behind a portrait (or any other) subject… in some instances, potentially shifting intruding out-of-focus foreground matter enough to get a clearer view of a main subject you’ve focused upon. Dual Pixel RAW image adjustments may become something you want to periodically re-visit from EOS 5D Mark IV files, to increase your understanding of how they work, and in your own mind uncover scenarios where these subtle adjustments may be helpful in your images. According to Canon, Inc. engineers, best results will tend to occur when images are taken at wide lens apertures (low f-numbers). As an image’s depth-of-field increases, Dual Pixel RAW’s ability to make significant visual changes decreases. Focus distance matters between camera and subject, too. In general, the impact will tend to be greater at near and middle distances for a given focal length lens than it will if the lens is focused upon truly distant subjects. No exceptions: to have the ability to perform these operations within Canon’s DPP software, the actual image must be taken with the EOS 5D Mark IV’s Dual Pixel RAW menu option enabled before the shutter is fired. RAW images can certainly be taken with Dual Pixel RAW disabled, but you will not be able to perform these additional changes to them. To repeat, Canon, Inc. and Canon USA have no idea if or when any competitive, third-party RAW process software programs may develop Dual Pixel RAW process capability. With EOS 5D Mark IV RAW files, taken with Dual Pixel RAW enabled on the camera’s menu, know that you can process them and make Dual Pixel RAW adjustments with Canon’s DPP software — version 4.5 or higher — and that software is included with the EOS 5D Mark IV camera. It’ll also be available as a free download from Canon web sites. Dual Pixel RAW images are only possible with the EOS 5D Mark IV, as of mid-August 2016. We know of no plans at present to add this feature to previous EOS models that have the Dual Pixel CMOS AF architecture (EOS 70D/80D, EOS 7D Mark II, and EOS-1D X Mark II, for instance). There’s little question that the advent of Dual Pixel RAW image adjustments in the EOS 5D Mark IV adds new potential for critical users to have even more control of fine aspects of their images, and as such, many will see it as a welcome technology. We’ve already cautioned users to expect the changes from these adjustments to be subtle, and in some cases, more apparent than in others. But even with that, it opens up some possibilities that would be difficult to achieve in conventional image-editing programs — and probably would require a lot more than moving a slider to achieve if they are possible. Accordingly, we urge any photographers who invest in the EOS 5D Mark IV to work with the feature, play with some Dual Pixel RAW images within the Digital Photo Professional software, and uncover what’s possible. While the new Dual Pixel RAW adjustments aren’t covered in this previously-created tutorial series, these videos will hopefully help reduce any resistance to trying this extremely effective software, and utilizing this new capability in conjunction with the EOS 5D Mark IV camera.